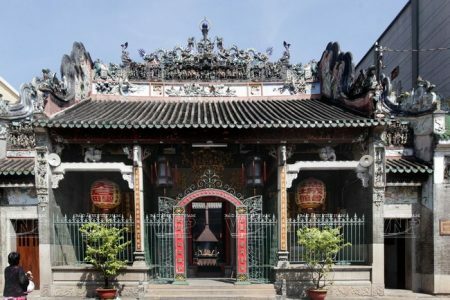 You take the cyclos trip via 10 local Market and Chinatown included Thien Hau pagoda. You will have occasion to discover the daily lifestyle of Saigon local people. Taste the local food (streamed rice roll). In the afternoon, continue our trip to visit Independence Palace, War Remnants Museum and jade Emperor Pagoda. Arrival at noon. Have lunch in hotel. Have lunch at Crocodiles lake. Cruise Price Inclusion: 1 night at hotel in Ho Chi Minh city 1 night at hotel in Nam Cat Tien national park English or French speaking guide Admission fee at visiting points as mentioned in the program Meals as mentioned during the cruise (B = breakfast, L = lunch, D = dinner) Vehicles used as program. Cruise Price Exclusion: Visa approval in Vietnam Travel insurance Roundtrip transportation HCM city - Mekong Personal expenses: souvenirs, drinks, tips.